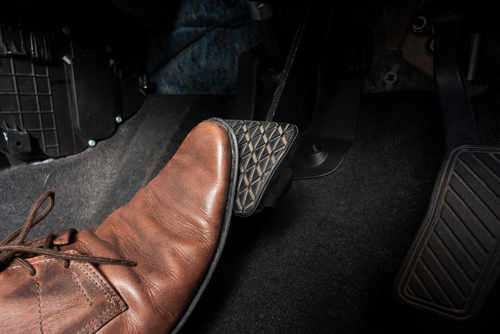 Just like the shock absorbers or the clutch , the brakes are important parts of the car for your safety. The brakes must be in perfect working order to guarantee you a real safety and because the code of the road requires it. - either drum brakes, rather mounted at the rear. But you can also meet other configurations. Whether they are disc or drum, the brakes heat , since they turn the speed of the car into heat. This is how they wear out and can show symptoms, which should lead to an audit or replacement. The braking system comprises several elements, including disks or plates or drums, and the liquid. It is important not to miss the overhaul of the brakes and to read the maintenance booklet, which gives you all the relevant information. The brake calipers automobile are mechanical parts which have the function of holding and guiding the brake system composed of the pads and pistons. The brake caliper receives under pressure the oil of the hydraulic circuit which it transforms into mechanical force by the piston. Thus the piston presses the pads on the brake disc . They must not under any circumstances deform to allow controlled escalation of braking intensity. A caliper is composed mainly of a metal body called the brake caliper body. One or more pistons that serve to push the plate against the disc. A piston protective cap and its sealing washer. Guide pins, and damping bushings. The last piece being the connections to the brake line. It is very rare to have to replace a brake caliper. When driving, it is very difficult to know if the brake caliper is to be changed or not. It is mainly by visually observing the wear of parts and on the test bench that one can diagnose a defective caliper. - If there is still braking when the brake pedal is released, it means that the piston is seized. This can be measured on a test bench. - If the brake disc has a constantly high temperature, this indicates a constant pressure of the pads on the brake disc. - If there is visually a strong corrosion of the pistons. - If the pads are no longer mobile. - If the protective cap or sealing washer has been damaged. - If the catch-up mechanism is defective on the combined callipers. It is sometimes possible according to the caliper models to repair the piston with a repair kit. These are brake caliper sealing kits, sliding sleeve sets, guide pin sets, mounting kits and platelet wear indicators. How to choose your brake caliper? It is important to have brake calipers of good quality, know that the price to put is about 70 € to 170 € for a stirrup. The quality of the calipers is a guarantee of safety for the passengers. Often, you will have the choice between several brake calipers of different brands. Indeed, there are several models of disks for the same car. 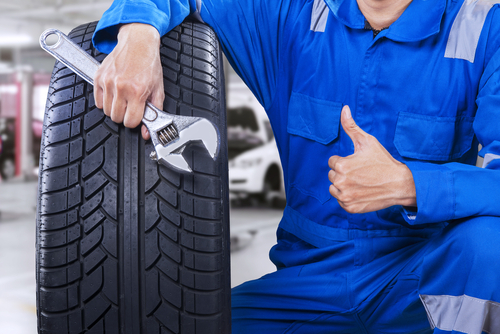 Before buying, it is strongly recommended to check compatibility with your vehicle. There are different mounting brackets. If in doubt, do not hesitate to call a professional. There are two types of brake calipers, fixed calipers and floating calipers. The floating stirrup is the most common. There is only one side of the stirrup that is equipped with a piston. When braking, only the inner pad presses the brake disc. On the fixed brackets, there are several pistons located on both sides of the disc. Thus the pads press the disk optimally. More expensive but more efficient, this system equips high-end vehicle models and sports models. How to change the brake caliper? To repair a brake caliper, you need a piston plunger, various piston rotator tools, a piston gauge, brake pad extractors. Calipers are delivered ready assembled, ready to use, often filled and preset. New calipers are generally guaranteed, 24 months manufacturer's part. - When the protective cap or sealing washer is worn. A repair kit can sometimes be used to repair the piston when it is worn. 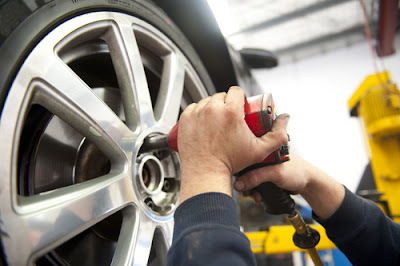 When it comes to changing the brake calipers, consider checking compatibility with your vehicle. There are often different makes and models for your vehicle. Two main types of brake calliper will be offered: the floating brake caliper, more widespread, and the fixed brake caliper, more expensive but more effective because with multiple pistons. For mounting it is necessary to use a piston plunger, piston rotator tools, a piston gauge and brake pad extractors. The stirrups are generally delivered ready for use and mounted. A few tips can help you get the most out of your parts and learn more about the brake calipers. All braking elements are subject to high voltages and vibrations. Do not forget to put the threadlock where it is needed. Threadlock prevents parts from loosening on their own. The stirrups are recycled and allow to create pieces of equal quality as pieces made of new metal. If you took the opportunity to change your discs and pads, the first few kilometers, slow down more slowly than usual until all the remaining paraffin of your discs dissipates and the pads wear out perfectly in relation to the microgrooves. your records. It can happen to see brake calipers in color, red or even gold. It's just a stylish effect, you can also paint them using high temperature paint.